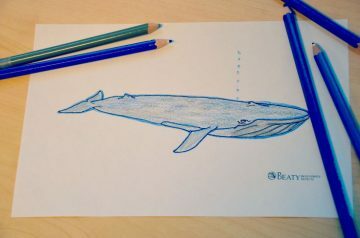 Blue whales are the biggest animals that have ever lived on earth — longer than the longest known dinosaur, and much more massive. Enrich your experience at the Beaty Biodiversity Museum and check your knowledge about blue whales with the following resources. Download our step-by-step guide to drawing the Beaty Biodiversity Museum's largest specimen. Download our step-by-step guide to drawing krill. Shake up your lesson plan with these printable krill colouring sheets, two per page. Inspire your group's creativity with these printable colouring sheets, two per page. 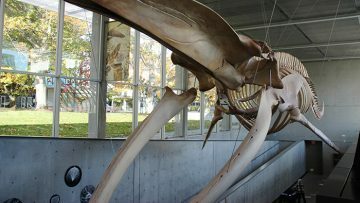 The Beaty Biodiversity Museum is home to Canada’s largest blue whale skeleton, a magnificent specimen that illustrates the interconnectedness of all living things. 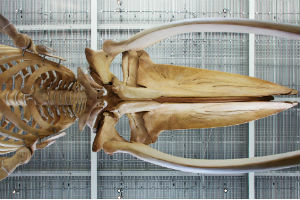 Check out our Blue Whale Display page to learn more about the Beaty's largest specimen.